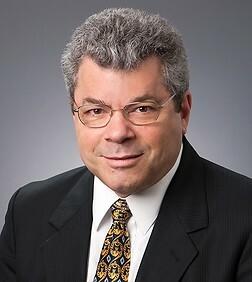 Thomas Leo is a partner in the Entertainment, Technology and Advertising Practice Group in the firm's Century City office. Mr. Leo focuses on entertainment finance, secured transactions and commercial law. Mr. Leo has extensive experience representing motion picture studios, production companies, distributors, lenders and cofinanciers in all types of motion picture and television financing transactions, including multipicture production, financing and distribution arrangements; revolving credit production finance facilities; rights acquisition financings; complex secured distribution arrangements; television license financing and securitization facilities; entertainment-related merger and acquisition financings and working capital lines of credit; complex intercreditor and interparty arrangements; and entertainment finance generally. Mr. Leo also represents corporate clients outside the entertainment industry in their borrowings under syndicated secured and unsecured credit facilities. Syndicated secured and unsecured credit facilities regarding clients both within the entertainment industry and in other industries as borrowers, ranging from $100 million to $500 million.